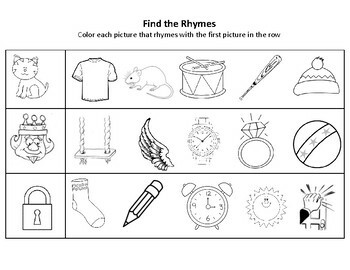 Perfect activity for kids to say the pictures and find the ones that rhyme. 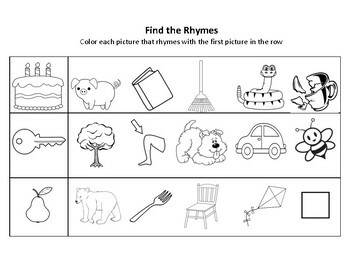 Students will learn rhyming words and sounding out pictures as well as practicing their coloring. 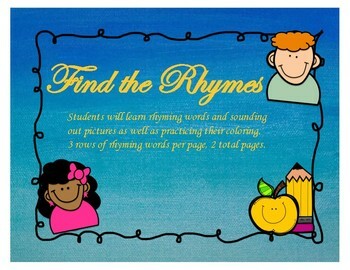 3 rows of rhyming words per page, 2 total pages.